On the side of the road in Turley, Oklahoma, dumped with unwanted trash, a puppy was abandoned in the cold. Fortunately, the black pup was discovered by a compassionate man who plucked her from the discarded rubble and warmed her from the cold. This puppy was fortunate – though someone abandoned her, she was still alive and found before the unthinkable happened. Other dogs have met with a heartbreaking end. Turley said that he has found dead dogs in trash bags…apparent victims of dog fighting. 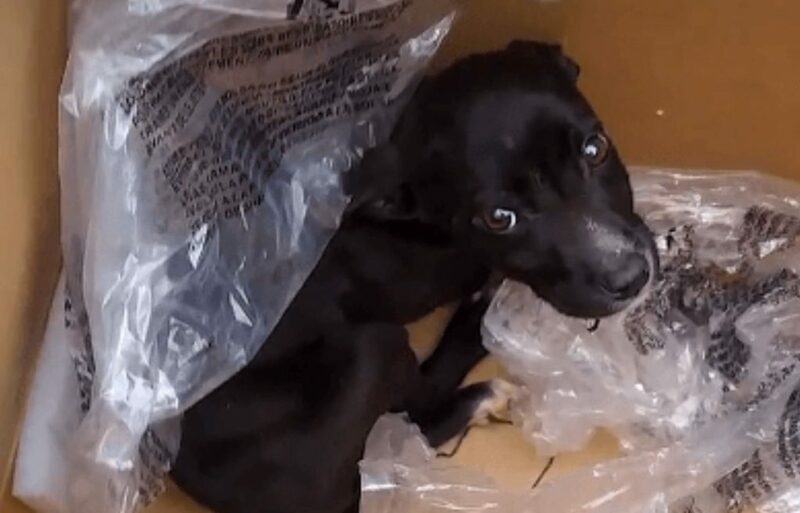 But this puppy is safe – and she has a new home, safe and sound with the man who found her in the trash.